AT&T Next is a new program that the company launched to allow its customers get a new device every year. Available only to upgrade eligible AT&T customers, AT&T Next lets you purchase a smartphone or tablet devoid of down payments, upgrade fees, and activation fees, and after paying 12 monthly installments you are allowed to trade it in and get a new device. 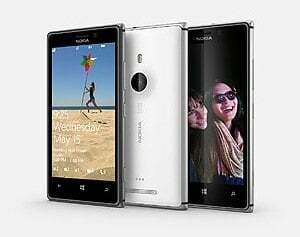 Lumia 925, a Windows Phone that is slim, lightweight, and dominated by a 4.5-inch PureMotion HD + Gorilla Glass display, runs on AT&T's 4G LTE network. It sports an 8.7 megapixel camera that packs the usual high-performance optics and camera features Nokia is known for. At launch, the exclusive black version of the Lumia will be available to only AT$T customers. A couple of days obviously stand between the 4.5-inch aluminum-clad smartphone and its lovers but pre-orders already began.